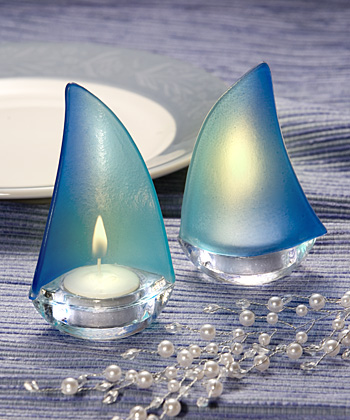 These sailboat candle nautical theme party favors are perfect for any seaside or beach party. 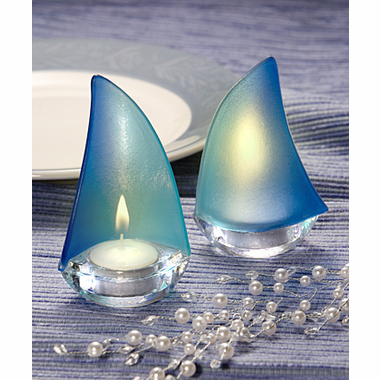 Each sailboat candle holder features a sea blue sail and a clear glass base holding a tea light candle. The candle holder measures 4" x 5" - a tea light candle is included and favors are packaged in a white gift box.